Creating a website isn’t tough — getting it noticed among more than a quarter of a billion other sites is the challenge. Like brick and mortar stores whose success hinges on location, location, location; your domain name is your online address and if it’s too far off the beaten path, you may be out of business before getting off the ground. The problem is that a prime spot on the information superhighway can cost as much as retail space on a real highway and if you’re like most new bloggers or startups, your budget for a prime domain name isn’t high. The good news is that it’s possible to get a good, if not perfect name without breaking the bank if you know where to look and who to trust. Before biting on an offer that seems too good to be true, keep reading to learn more about the importance of domain names and the companies that sell them. If you’re reading this, chances are you already have the idea and thankfully, todays web hosting companies can help you achieve a high-profile online presence without an IT department and a warehouse full of servers, but getting a great domain name — that’s where it gets tricky. Your domain name is the part of your online address that starts after the www. and ends with a domain suffix like .com, .net, .biz, or .org among many others. The first part of your name should reflect something about your blog or business. The suffix reflects the larger online space — or domain — where your site lives. Some domains are limited to specific types of businesses or organizations. To use .museum, your entity must be a legitimate museum. That’s known as a closed top-level domain. Anyone, however, can register in an open top-level domain like .com and .net, but there are two important rules — you have to pay for it and it can’t be the same as anyone else’s. Like addresses in any popular neighbourhood, space in the .com and .net domains is getting both limited and expensive. Domain names are purchased and registered with services called domain registrars. All registrars are accredited by ICANN (Internet Corporation for Assigned Names and Numbers); a non-profit institution responsible for managing the directory of web addresses. The line between dedicated registrars who deal only with domain names and web hosting companies is a little blurry. Registrars have the perfect platform on which to offer web hosting services to help them make a profit, and web hosts like to offer domain name management for their clients. Since some level of web hosting is necessary to get your page online, dedicated registrars are increasingly rare. If you want to be searchable online, you need a web host. Web hosts create the link between your website and the internet. Without that link, your page would have an audience of one — you. It’s possible to register a name with a dedicated registrar and buy hosting services separately. In fact, some pros recommend it, but using separate companies requires some know-how, and beginners can benefit by buying a cheap domain name with a web host that offers scalable services for a burgeoning business. As a carrot to entice you to purchase their hosting services, domain name registrars like Namecheap and Bluehost offer cheap domain names. Bluehost and Hostgator will give you a free domain and free email when you buy hosting. Bluehost offers web hosting & a free domain for as little as $2.95 per month. Hostgator gives you high quality web hosting, free domain, free email accounts + access to their web builder for just $3 p/m . What qualifies as a cheap domain name? Cheap domain names start at $0.99 and on average, top out at $12.99 annually for the first year. Renewal fees range from $9.99 to $29.99, but there’s no guarantee those won’t change. Prices vary with the purchase of a web hosting plan, but tend to be lower, especially if you want to snag a .com or .net suffix. Domain names are about simplicity. Names that are awkward to spell, difficult to remember, don’t make sense, or don’t end in a popular, recognizable suffix like .com or .net make you almost invisible to general online traffic. It’s like having a small business twenty blocks removed from Main Street. People who know you’re there will visit, but you won’t gain new customers by attracting passers-by. Because .com and .net are the domains most people remember, entrepreneurs saw the value in registering millions of potentially popular addresses years ago and today, if you want an easy-to-recognize, brandable name in a top-level domain, you’ll have to ante up what the market says its worth. One well-known website that features classified ads for cars paid over 800 million dollars for their .com domain name in 2017. So is any registrar or web host going to give you a premium domain name for cheap? No, but there are surprisingly good options still available. For the price, however, many cheap domain names come with a few catches and it’s worth knowing who you’re dealing with to avoid nasty surprises. Let's look at five popular companies offering cheap domain names. Namecheap is a registrar and web host. Hosting packages come with a free .website domain name or you can forego hosting and buy just a name with suffixes like .site, .space, .press or .host for as little as $0.88 for the first year. You’ll pay $8.88 yearly and up for a .com and while they promise reasonable renewal rates, fees aren’t clear. Value-added features include limited free e-mail and complementary WhoisGuard privacy protection that keeps your information in WHOIS — an ICANN-required website identification database — private. Like other bargain registrars, Namecheap is guilty of aggressive upselling and its hosting features are limited, but current customers and industry gurus are satisfied you get what you pay for. 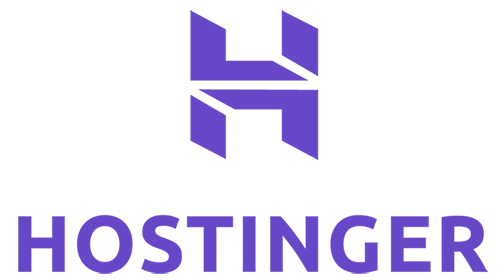 Hostinger is another ICANN-accredited registrar and web host. Their .com domain name starts at a highly competitive $8.99 and up annually, but lesser known suffixes like .xyz, .store and .tech can be had for just $0.99. You’ll get a free domain name for a year with hosting and packages cost as little as $.80 per month, but beware — important features like online storage space and bandwidth are very limited at lower tiers. Comprehensive package pricing is on the better side of competitive and hosting services are a bump up from Namecheap, but if you’re just getting started, the differences are negligible. Hostinger’s website isn’t quite as user-friendly as others, but they have an excellent reputation for customer service. If you’re looking to get online with a bang, Bluehost is both a registrar and web host that offers high-quality, user-friendly hosting services for the same price as lesser options from their competitors. Their .com sites are the most expensive starting at $12.99 per year, but bargain suffixes suitable for blogs and less commercial ventures can be had for $9.99. You’ll get one free domain name annually with a hosting package and at higher levels, subdomains are unlimited. Toss in a host of perks from WHOIS privacy protection and unmetered bandwidth to top-notch customer support and a free SSL certificate and if you can swing the extra cost, it’s great value for a growing business. Hover is a dedicated registrar, so it’s not a one-stop solution for both a domain name and web hosting, but there’s something to be said for sticking to what you do best and doing it well. If this is the first time you’ve searched for a domain name, Hover’s user interface is remarkably simple and intuitive. They offer a full gamut of top-level domain names as well as generic and country code level domains, and when you’re ready to integrate your choice into a separate web hosting platform, Hover’s apps make it easy. Their pricing is clearly defined and unlike other sites, renewal fees are clearly disclosed. The downside is that since all of their profit comes solely from the sale of domain names, their prices are significantly higher. Value-added features include free e-mail and exceptional privacy protection. At GoDaddy — a registrar and web host — domain names run from $0.99 annually for generic or country code level suffixes up to a list price of $29.99 for .coms and .nets. If you’re feeling lucky, you can bid on valuable domain names on their auction page and if you want a name that’s already taken, they’ll even negotiate with the owner on your behalf — for a fee — to get it for you. Hosting services are available by the package and include a domain name discount, but while GoDaddy has a strong business presence and has help millions of customers register domain names, they’ve overstayed their welcome with a few who resent their aggressive upselling and spotty customer support. It's possible to have a bad experience with even the best registrar or web host and there's a lot to consider, but looking at these criteria is a good place to start. In addition to paying fees, accredited ICANN registrars must sign responsibility agreements and demonstrate they have the resources and technical expertise to offer the services they promise. Individual accreditations can be verified on the ICANN website and copies of service agreements can be reviewed. ICANN requires that all domain name owners be identified in the WHOIS database. In some ways, that’s a reassuring level of transparency, but it also leaves your personal data vulnerable to hackers and thieves. As a bonus, some registrars will make your personal information invisible as part of the price you pay for a domain name. Others charge for that protection. ICANN monitors registrar performance to some extent, but they can’t save you from an unscrupulous or subpar operator. Before establishing a relationship with any registrar, check out reviews from prominent industry insiders and current users — don’t depend on old data. Call their customer support number and ask questions. How you are treated by a live representative reflects what you can expect for support after the sale. Registering a domain name is just the first step in what could grow into a much larger venture. If your registrar or web host doesn’t offer enough options for growing your business, additional services can be had elsewhere, but it can be confusing and time-consuming. If you’re more comfortable with a one-stop option, register your name with a company that offers scalable services to match your needs. Some bargain registrars save money by offering limited contact options and bare bones support. This is important because if your site depends on their DNS interface and it goes down, so does your page. Before registering your name, look at contact information. If it’s limited to chat or e-mail support for eight hours daily on weekdays only, think twice before trusting them with a business website. If you are paying for web hosting, expect twenty-four hour service. Cheap domain names let anyone with a near-zero budget get online. If you blog just for fun or need a temporary website for an event, it’s the least expensive way to get a name without paying for things you don’t need. It’s also the perfect way to register more than one domain name for a future business or to buy cheap sound-alike names that could send more web traffic your way. In general, you get what you pay for. Registrars pay for ICANN accreditation and for the equipment, staff and expertise needed to offer the cheap domain names you want. They have to recoup costs and if they can’t do it by upselling services, some will do it by cutting customer support or engaging in shady practices. If you’re a beginner looking for the least expensive option to get started, but feel like you need support through the process, pay a little extra and go with Hostinger. For a few dollars more, you get exceptionally responsive customer support and if your site is a big hit, they offer web hosting services to take you to the next level. If you have a rock-bottom budget and want a domain name for temporary use, expect to get limited value from your site, or just want to buy up sound-alike names, Namecheap is the least expensive, but you’ll need to be knowledgeable and take charge of the process. For business start-ups in search of both a domain name and scalable web hosting, Bluehost gives you the most bang for your buck. Domain names are cheap with the purchase of a basic hosting package and their reputation is unparalleled for above-board service and fee transparency without annoying upselling. Just because a domain name is cheap, doesn’t mean it’s the best value and since it’s the biggest driver of traffic to your website, a good one is worth the investment.